James Cowan was born near Renton, Scotland, on 17th October 1868. He played football for Vale of Levan before joining Aston Villa in August 1889. Aston Villa finished in 8th place in the 1889-90 season. Cowan played 22 games for the club that season. In the 1891-92 season Aston Villa finished in 4th place to Sunderland. Villa's new striker, John Devey, had a great season ending up as top scorer with 29 goals in 25 games. 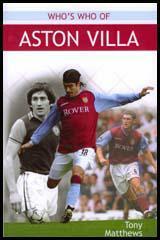 Charlie Athersmith with 10 goals in 26 games was second in the list of top Villa scorers that season. According to Adam Ward and Jeremy Griffin, the authors of The Essential Aston Villa: "Centre half James Cowan... was a formidable competitor and an imposing figure, his tackling was legendary for both its ferocity and accuracy. However, Jas, as he was affectionately known, was more than just a spoiler, and in addition to directing the Villa defence he was also an extremely constructive player." Aston Villa also had a good run in the FA Cup beating Heanor Town (4-1), Darwen (2-0), Wolverhampton Wanderers (3-1) and Sunderland (4-1) to reach the final against West Bromwich Albion. In his book, Association Football in Victorian England, Philip Gibbons argues that: "Villa dominated the early proceedings, with Athersmith and John Devey exerting pressure on the Albion fullbacks. However, the West Bromwich side soon responded as Billy Bassett passed to Roddy McLeod, who crossed the ball to the waiting Geddes. He shot towards the Villa goal and Warner failed to collect the ball clearly. It rolled between the Villa goalposts to secure a surprising one-goal lead for the Albion team." Billy Bassett was also involved in WBA's second goal. He won the ball on the halfway line and after running at the Aston Villa defence he passed to Alf Geddes. His shot was saved but the goalkeeper could not hold onto the ball and Sammy Nicholls had the simple task of scoring from the rebound. Jack Reynolds scored the third with a shot from 25-yards. Aston Villa won the First Division of the Football League championship in the 1893-94 season. The club scored 84 goals in 30 games. The main contributors included John Devey (20), Dennis Hodgetts (12) and Charlie Athersmith (10). Defenders, James Cowan, Jack Reynolds (right-half) and Willie Groves (left-half) were also key members of the team. Robert Chatt, James Cowan, George Russell, Dennis Hodgetts and Stephen Smith. Aston Villa had victories over Derby County (2-1), Newcastle United (7-1), Nottingham Forest (6-2), Sunderland (2-1) to reach the 1895 FA Cup Final against West Bromwich Albion. The Villa outside-left, Robert Chatt, scored the only goal of the game after 39 seconds. In December, 1895, James Cowan missed five league games when he went into training for the Powderhall Sprint. He earned £80 in prize money when he won the race. However, he was fined four weeks' wages and suspended by the Aston Villa committee. 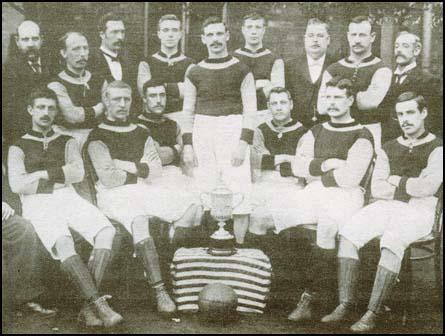 Aston Villa also won the First Division title in 1895-96. For the first time since he joined the club, John Devey was not top scorer. He only scored 16 goals, whereas Johnny Campbell, who had been signed from Celtic, managed to net 26. Other members of these outstanding team included James Cowan, Dennis Hodgetts, Charlie Athersmith, John Cowan, Jack Reynolds, Jimmy Crabtree, Howard Spencer and Stephen Smith. As Philip Gibbons pointed out in Association Football in Victorian England: "Aston Villa had twice won the League Championship, as well as the FA Cup, during the three previous seasons, with a team generally acknowledged as the finest in the land." James Cowan won his first international cap for Scotland against England on 4th April, 1896. Scotland won the game 2-1. The following year he played in the game against England. Once again Scotland won 2-1. Aston Villa retained the title in the 1896-97 season by beating the runners-up, Sheffield United, by an amazing 11 points. Aston Villa scored 73 goals that season with John Devey adding 17 to his total. Other contributors included George Wheldon (18), Johnny Campbell (13), Charlie Athersmith (8), John Cowan (7) Stephen Smith (3) and Jack Reynolds (2). On 30th January, 1897, Aston Villa beat Newcastle United 5-0 in the third round of the FA Cup. They went onto beat Notts County (2-0), Preston North End (3-2) and Liverpool (3-0) to reach the final against Everton. A crowd of 60,000 arrived at Crystal Palace to watch the final. Charlie Athersmith scored the opening goal but Everton hit back with goals from Jack Bell and Richard Boyle. Aston Villa continued to dominate the game and added two more from George Wheldon and Jimmy Crabtree. That finished the scoring and therefore Aston Villa had emulated the great Preston North End side that had achieved the FA Cup and Football League double in 1888-89 season. James Cowan won his last international cap for Scotland against England on 2nd April, 1898. Scotland lost the game 3-1. 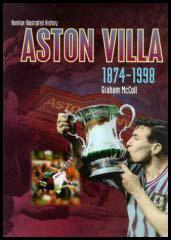 Aston Villa also won the title in the 1898-99 season. Aston Villa confirmed it was the best club in England during the 1890s when it won the First Division championship the following season. This was their fifth league title in seven years. During this period they had also won the FA Cup twice (1895 and 1897). 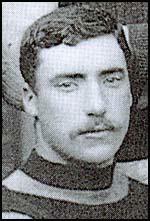 Billy Garraty was the top scorer in league and cup games in the 1899-1900 season with 31 goals. He was followed by John Devey (18), George Wheldon (13), Stephen Smith (7), George Johnson (6) and Charlie Athersmith (4). As Tony Matthews points out in his book, Who's Who of Aston Villa: "Cowan, with his untiring energy and skilful, timely tackles, was the mainstay of Villa's defence throughout the 1890s...Only 5 ft 7 in. tall and less than 11 st. in weight, he was as solid as a rock at the heart of the Villa defence." Cowan retired from professional football in June 1902. He was the licensee of The Grand Turk in Aston High Street from May 1904 to December 1906. He returned to football when he became manager of Queens Park Rangers in 1907. A post he held until November, 1913. James Cowan died in Scotland on 12th December 1915.